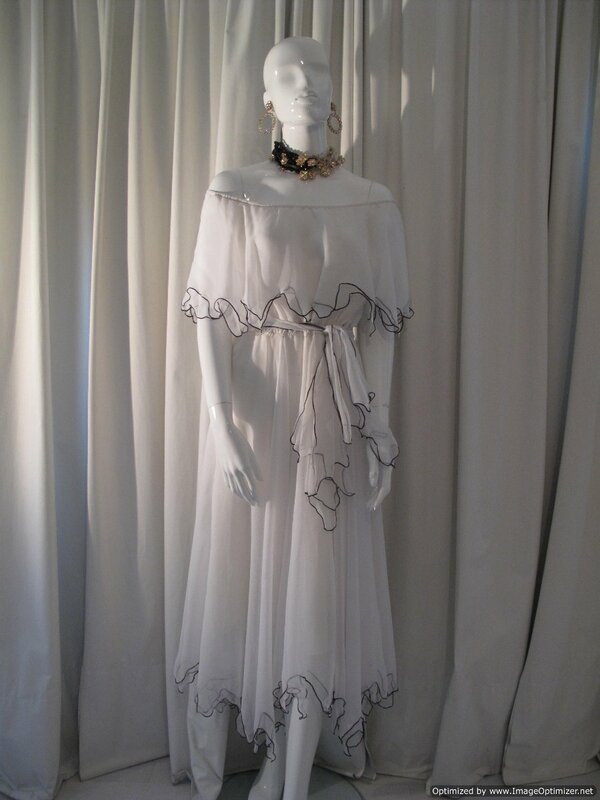 1970's White Gypsy chiffon Summer vintage dress. 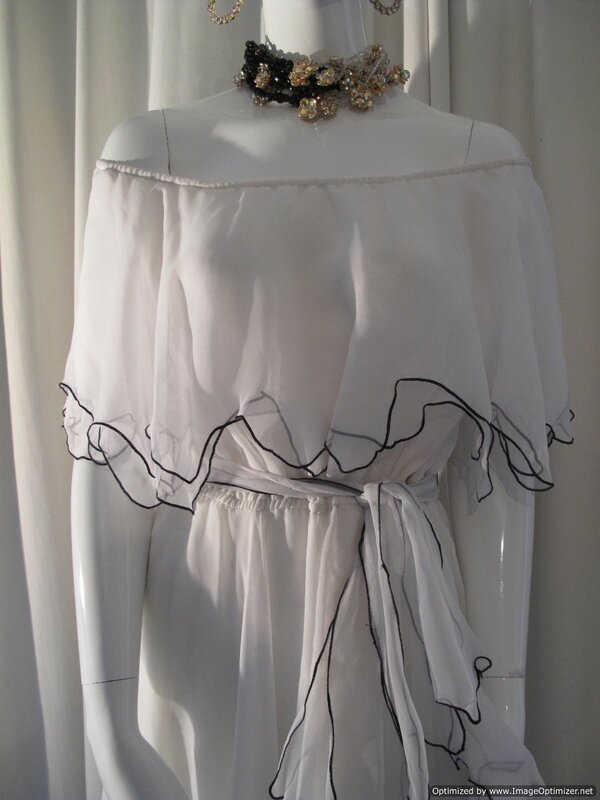 The dress is in white chiffon with an off the shoulder Gypsy style neckline. 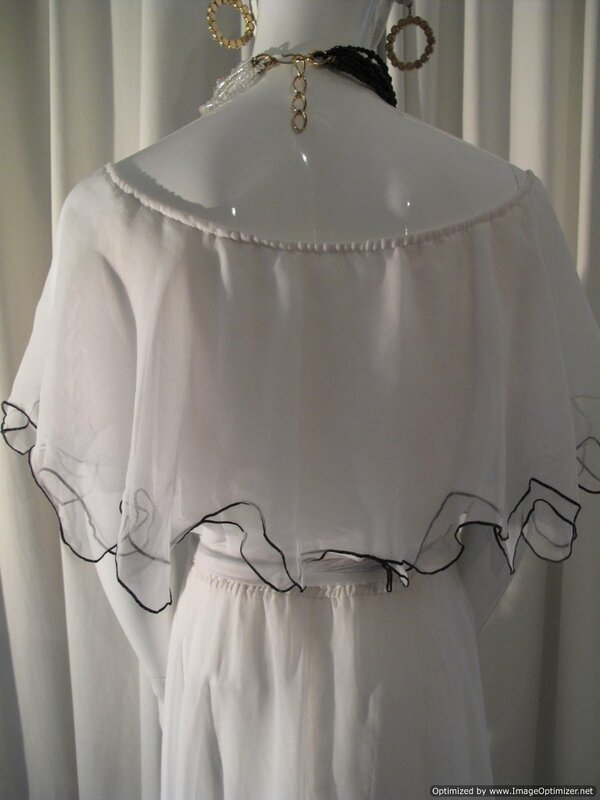 The double layer frill has a scalloped edge and is trimmed with 'Bulon' stitch black thread. 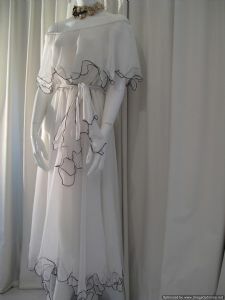 The skirt is 3/4 length and double layered chiffon with a scalloped hem and the same black edging. 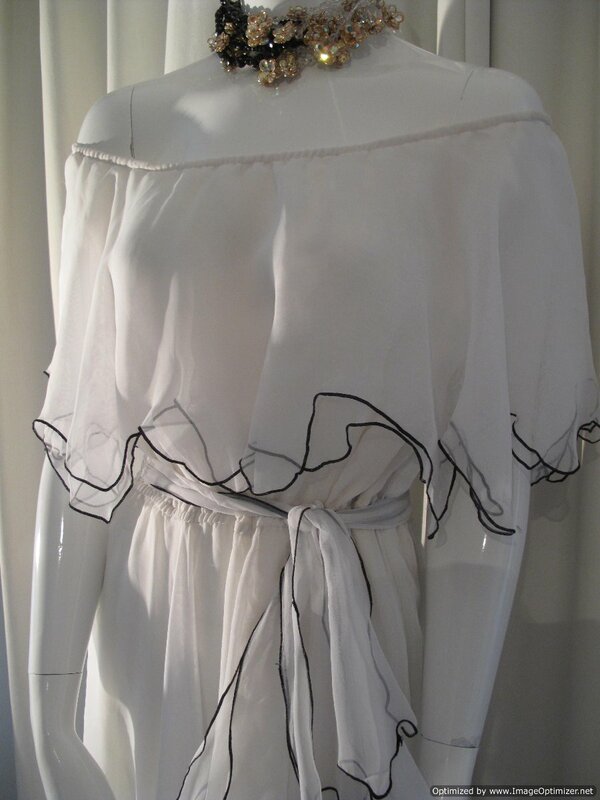 The waist is elasticated and there is a double tie belt in self fabric. Great floaty dress to team with Summer espadrilles.